We appreciate your feedback about your support experience with WooCommerce, developers of WooCommerce Product Blocks. This helps us maintain high standards on the WooMarketplace, and helps WooCommerce improve. 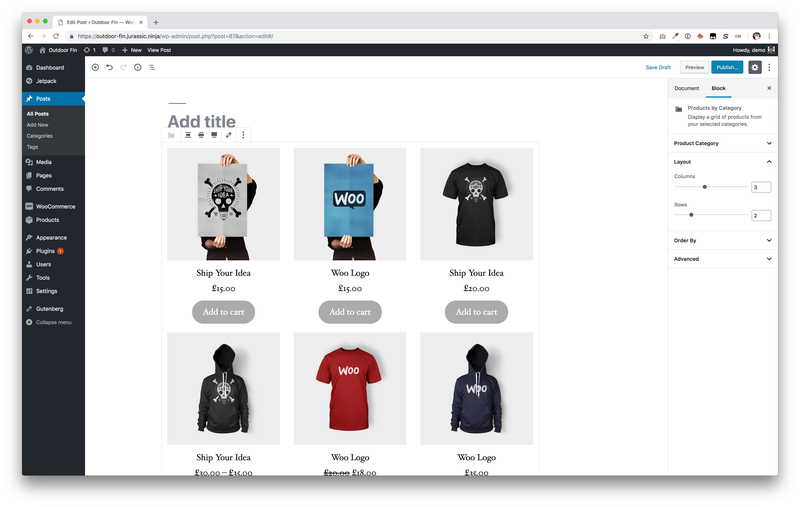 WooCommerce Blocks are currently available as a feature plugin, and we are making it available here so anyone can test it out easily. Read more about our approach to this feature and the Gutenberg Products block here. 2. 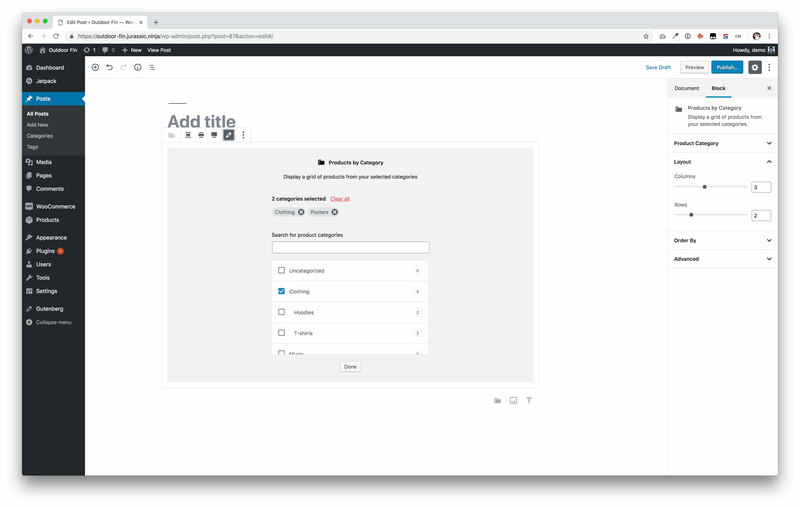 The latest version of Gutenberg, or running WordPress 5.0.x. From any post or page, click the + icon and search for “Products by Category”. Add the block to your post or page, then choose a category of products you’d like to display. You’re also able to select multiple categories. When you’re finished, click done. If you want to follow the latest developments or report a bug you can do that at the GitHub repository.